Today’s Thoughtful Thursday poems are to be read aloud and discussed with your sons. 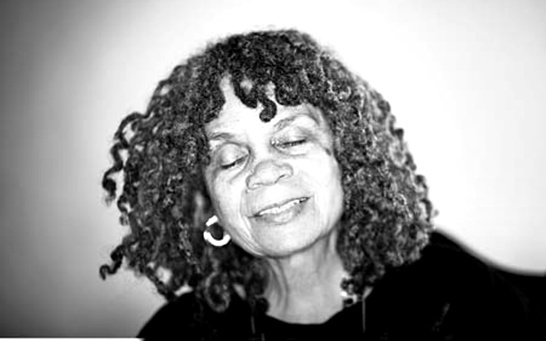 “To PJ” by Sonia Sanchez is a sweet little ode to a two year old that is fun to read aloud, and a good example of how poets play with spelling and grammar in their work. “Michael” by Gwendolyn Brooks is a good poem to read when you want to talk to your young son about his emotions. What scares him? What makes him feel better when he is scared? “In Both The Families” by Arnold Adoff talks about the range of skin tones that can be seen in the extended family of a child. Adoff, a white man married to a Black woman (author Virginia Hamilton), wrote this poem for his biracial children. The last two poems, “Problems” and “Reason Why” by Langston Hughes are not only fun to read aloud, they are examples of how poets like Hughes wrote both in standard English and dialect, and present a good opportunity to talk about how people use different forms of speech in different settings. Enjoy. each time i pick up a pen and paper. poetry wud go out of bizness. Lightning is angry in the night. And crying’s not for me. Perhaps no one will see. No one will laugh, I guess. there is every shade of brown, and tan, and paler honey, creamy gold. and they can face my crooked grin. Here is every shade of every color skin. 2 and 2 are 4. 4 and 4 are 8. If the last 4 was late? If one 2 was me? Like de wings of a butterfly. Set the Rules, Clearly and Simply: Young people who have grown up with a device in their hands are not always aware that their regular use of it may bother you or could interfere with the performance of their job. Be clear about your expectations, and set the rules before you give them the job. Don’t want any tweeting or texting on the job? Be sure to tell them up front. GCP pet peeve: We’ve lost count of the number of sitters (and moms and dads) seen on the street who are preoccupied with their devices while pushing their toddlers along. Not only is it potentially quite dangerous, you’ll also miss golden opportunities to chat with the little one about interesting things along the way. And we all know (or should know) that toddlers benefit tremendously from talking and having conversations. They need to hear as many words as possible at this age, and chatting with them on a stroll is a great way to increase their vocabulary. So be sure to tell your sitter to reserve any non essential phone time for when your toddler is napping in that stroller. Privacy and Social Media: We live in a world of shared digital experiences. Pictures of cute babies, puppies and kittens abound on all social media. Is it ok for your sitter to post pictures of your little one on her Facebook page or Instagram account, or upload an adorable video of him singing onto YouTube? Whether your answer is yes or no, have this conversation up front, so that there are no surprises. If the answer is yes, set limits for what can be shared. If instead you want to be the only one deciding what adorable views of your pumpkin the world can see, then make that clear from day one. Be compassionate about the instinct: you have an adorable child, and a loving caretaker could easily have the urge to post a great pic of him. But be very clear about this: if Instagram, Twitter, Facebook, etc. is off limits, let the sitter know before she is tempted to post. Playtime with the Phone: Also discuss the degree to which you want the sitter to allow your toddler to play with devices, be they her phone or the baby’s own iPad. Giving a fussy little one an electronic plaything to distract and preoccupy him is tempting, we all know, but we also know it is not a good idea to use an electronic device as an ever present pacifier. Help her understand your thinking on this, and set clear limits. Tech is Not All Bad: When you are having a crazy day at work, having a babysitter who is tech-savvy can save the day. She can send you a picture of your child to show you a special moment you’d otherwise miss, or perhaps to show you a rash that might need immediate attention. She can text you questions or clarifications quickly and efficiently. She may also have suggestions for cool apps that might serve useful for the both of you when managing daily tasks before you arrive home. So rather than make the device the enemy, talk about its productive uses. It’s Never Too Late to Have This Chat: We live in a digital age where everyone is or is soon to be wired. So if you did not initially spell out these rules with a long time sitter, or your sitter is a relative newcomer to the digital world and you sense a shift towards device preoccupation, have the conversation now. Remember, you are the employer. As your employee, your babysitter should make every effort to adhere to your rules. The bottom line is you want to do everything you can to ensure that your babysitter is actually spending quality time with your child! These are crucial years to foster positive reinforcement and development. She can’t do that if she is constantly updating her status. Comments Off on Is Your Sitter Paying More Attention to Her Phone Than To Your Child? March and April are Spring Break months, and since we at GCP are Spring Breaking as we write, today’s Thoughtful Thursday offerings are about vacations. 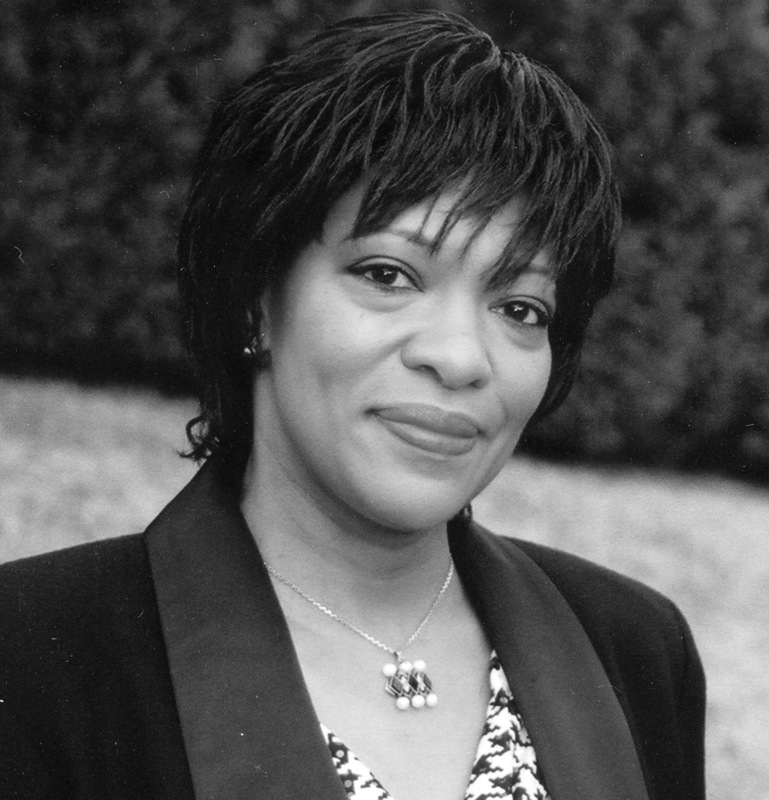 In “Vacation”, Rita Dove, who in 1987 became the second African American to win the Pulitzer Prize for poetry and served as Poet Laureate Consultant in Poetry to the Library of Congress from 1993–1995, reminds us how we eagerly anticipate the start of a vacation. And although Nikki Giovanni’s “Vacation Time” is included in a book of children’s poetry she published in 1981, her definition of vacation time will surely resonate strongly with adults. Enjoy. perched like a seal trained for the plunge. Flight 828, now boarding at Gate 17. Celebrated children’s and young adult book author Walter Dean Myers has a great essay asking “Where Are the People of Color in Children’s Books?” in this past Sunday’s New York Times. In his essay, found here, Myers responds to a recent report that only 93 of the 3,200 children’s books published in 2013 were about African Americans. He describes how important it is for children’s books to feature people of color, not only to inspire young boys and girls of color, but to help all readers understand and appreciate that moms and dads and doctors and lawyers and engineers and teachers and neighbors can come in all colors. Myers tells the story of working in a personnel office under a boss who tried to eliminate a black chemist applicant for a position because as he told Myers, “That black guy’s no chemist”, even as he looked at the candidate’s resume filled with chemist training and experience. Myers understood that this was a more complicated brand of racism. He explains, “I realized that we hired people not so much on their résumés, but rather on our preconceived notions of what the successful candidate should be like. And where was my boss going to get the notion that a chemist should be black?” If Black people, including Black professionals lived in more children’s books on a regular basis, all children would have a chance at having a more realistic (and less biased) perception of the real world. We’ve got a long way to go, with our boys in hoodies getting profiled in stores, stopped and frisked and even shot and killed because the way they look is what people know from TV, hip hop and publicized perp walks to be the look of someone up to no good. We’ve got to do all we can to find books for our children, and for their friends of all colors, that show the world the way it multiculturally is, not the way it looks so often on TV, and as we now know, in children’s books as well. How do we find these books? We can start with the Brown Sugar and Spice Book Service, found here, which features “True Stories about People of Color”. But we need as many resources as we can find. GCP readers, send us your favorite children’s books featuring people of color! We’ll keep looking for recommendations as well. An interesting hodgepodge of poetry for today’s Thoughtful Thursday. March being Women’s History Month, we at GCP want to pay tribute to women, in all of their facets and all of their glory. So we will start with Maya Angelou’s classic “Phenomenal Women”, and then move onto poems perhaps not so immediately recognizable, but that pack a punch: “For Strong Women” by the thoughtful and thought-provoking Marge Piercy, and “For My Mother”, by May Saxton, which reminds many of us from whence we came. We end with “The Hand that Rocks the Cradle”, which William Ross Wallace wrote in 1865 in celebration of motherhood. Enjoy. A strong woman is a woman who is straining. while trying to sing Boris Godunov. Especially when times were hard. The frailty and the anguish. Black boys as young as 10 years old are more likely than their White peers to be mistaken as older, less innocent, and more appropriate targets for police violence if accused of a crime, according to research conducted by UCLA psychologists. In their study, abstracted here, the researchers examined “whether Black boys are given the protections of childhood equally to their peers”, and tested three theories: 1) that Black boys are seen as less childlike than their White peers; 2) that characteristics associated with childhood are less frequently applied in thinking about Black boys relative to White boys; and 3) these trends would be more obvious among people who dehumanized Black males by associating them with apes. The researchers conducted studies of 4 different groups (including police officers and college students) which supported and confirmed their theories. “The evidence shows that perceptions of the essential nature of children can be affected by race, and for black children, this can mean they lose the protection afforded by assumed childhood innocence well before they become adults,” said co-author Matthew Jackson, PhD. “With the average age overestimation for black boys exceeding four-and-a-half years, in some cases, black children may be viewed as adults when they are just 13 years old.” You can read a more detailed description of this study and the results here. Most alarming were the results of the police officers study, as the researchers determined that those officers who dehumanized blacks in psychological questionnaires (associating them with apes) were more likely to have used force against a black child in custody than officers who did not dehumanize Blacks. While the researchers noted that further study was necessary to clarify this finding, this study supports our gut instinct to instruct our sons, even our little boys, about how to behave during any encounter with the police. As blogger Christopher “Flood The Drummer” Norris in The Good Men Project website notes here, the sad essence of these findings is that our young boys don’t get to be young and innocent for long. As Norris notes, “Black boys aren’t so different; they want what every other adolescent has: the ability to make mistakes.” If our boys are consciously or unconsciously being held to a higher standard by the adults they interact with, small wonder that they can have a hard time meeting it in school and in the world. What can we parents do at home to counteract this? We can give our young sons time and space to be “boys”, guide them but try not to make them “little men” too soon. We can also focus on how negative media images of young Black men can distort public perception and make people more comfortable with their negative thinking. Check out “Media Portrayal of Black Youth Contributes to Racial Tension” here, and check out the Opportunity Agenda website here for lots of information about media images of Black males. Essay is Optional. The essay, now required, will become optional for all students. Students who choose to take it will get 50 minutes (versus the 25 all students get now) to analyze evidence and “explain how an author builds an argument to persuade an audience” (as explained by the College Board). Currently students are asked in their essays to make an argument which draws on their background and experience rather than any evidence presented. More Practical Vocabulary. The vocabulary will be focused on words more widely used in college and careers, rather than the fairly obscure words currently used. Back to 1600 Point Scoring. There will be a separate score for the essay. A bonus for parents who waited to have children–you’ll never have to adjust to that infernal 2400 scale scoring! A “No Calculator Section” Added to Math. There will be a math section in which calculators will not be allowed. The College Board believes that this will allow a better assessment of students’ math understanding, fluency and technique. So get out those flashcards and make sure your young’un knows his arithmetic, as it will come in handy. Expanded Academic Disciplines. The new SAT will expand the academic disciplines of source materials to include history and science. The current SAT doesn’t require knowledge of either of these subjects. No Penalty for Guessing. In the current SAT students lose 1/4 point for the wrong answer and lose no points for not answering the question. The New SAT won’t deduct for the wrong answer. This new plan has the added benefit of reducing the chance that students lose their places on the answer sheet (which can happen when you start skipping questions). Includes Passages from “Founding Documents or Great Global Conversations”. Each exam will include a passage from a “Founding Document” like the Declaration of Independence, or from the “Great Global Conversation” they inspire, like the Gettysburg Address or the “I Have a Dream” speech. Paper and Digital Versions of the SAT will be Offered. In addition to the changes in the test, The College Board has announced several initiatives designed to level the playing field of the college application process. Their “Access to Opportunity” (A2O) initiative includes an “All-In” Campaign, which aims to ensure that students of color take AP courses in high school (The College Board also administers the AP exams), “Apply to 4 or More”, which gives deserving students four college application fee waivers; and “Realize Your College Potential”, which provides customized college information packets and fee waivers to high achieving low-income seniors (in the top 10- 15% of their class based on PSAT/SAT scores and in the bottom 33% of the national income distribution based on census information). As we have noted in a previous GCP post, outreach to the high achieving low-income students has been demonstrated to greatly increase the chances that these talented students will be able to go to great schools. See “Expanding College Opportunities”, October 16, 2013. In an effort to make high quality test preparation available to students who cannot afford the expensive private test prep services, The College Board has partnered with Khan Academy, the free online tutoring service, to provide free test prep programs and resources. Currently Khan Academy has hundreds of questions from unreleased SATs and 200+ videos with step-by-step solutions online. The College Board has pledged to work closely with Khan Academy in order to enable them to provide test preparation for the redesigned SAT. For more information about the test changes and these initiatives, see the articles in the Washington Post here and the New York Times here. Why redesign now? The SAT has been losing ground to the ACT in recent years, as students have demonstrated a preference for the more subject matter based and less esoteric ACT. With these changes the SAT hopes to regain lost ground. (Notwithstanding all this talk about creating tests that more closely track the high school experience, this is, after all, a business trying to make money.) With that said, the initiatives to include lower income students are to be loudly applauded, and we should all make sure word gets out about what is being done now (through Khan Academy) and in the future to ensure more students can be college bound. Are these changes good or bad? The changes seem to create a test that should be easier to study for, and one which should allow students to demonstrate more of what they have learned in school on the test. (My college aged children thought the elimination of the required essay was way overdue.) Time will tell as to whether students find the test easier or harder. Parents of high school freshmen and younger students will need to be aware of the changes in the test preparation for this new test. GCP will stay focused on this. 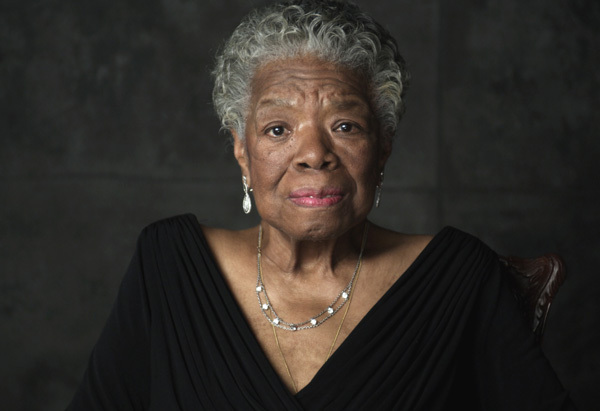 Today’s Thoughtful Thursday features Maya Angelou, the esteemed poet and author. Here are two of her poems which commemorate memorable occasions. The first, “On the Pulse of Morning”, was written for and delivered by Angelou at the 1993 inauguration of Bill Clinton. This is followed by the “The Million Man March” poem which she read to the throngs of men (and women) who marched on the National Mall in 1995. Enjoy. I will give you no more hiding place down here. Come rest here by my side. Tree and the stone were one. The River sings and sings on. Speaks to humankind. Come to me, here beside the River. Plant yourself beside me, here beside the River. On traveller, has been paid for. I am yours–your Passages have been paid. Take it into the palms of your hands. And the walls have been steep. I was dragged by my braids just beyond your reach. You couldn’t even call out my name. You’ve worn a badge of shame. Across the oceans, and across the seas. Have paid for our freedom again and again. Have sharpened our senses and toughened our will. The night has been long. Right down to your soul. I know that with each other we can make ourselves whole. And see your love for family in your big brown eyes. And stop impostering our own history. We are a going-on people who will rise again.